The Young Tradition were a British folk group of the 1960s, formed by Peter Bellamy, Royston Wood and Heather Wood. They recorded three albums of mainly traditional British folk music, sung in arrangements for their three unaccompanied voices. They recorded three albums and an EP, on the Transatlantic Records label. They also collaborated with Shirley Collins on an album recorded in 1969 called The Holly Bears the Crown. A single of the Boar's Head Carol was released from these sessions in 1974 (by Argo Records), but owing in part to the band's 1969 break up, the full album was not released until 1995 (by Fledg'ling Records). 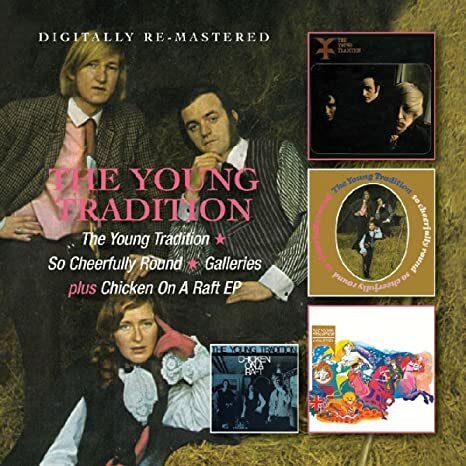 Transatlantic also released a compilation record in 1969: The Young Tradition Sampler. Royston Wood & Heather Wood continued to work together after the split with Peter Bellamy in 1969, but they didn't record again until 1977 when they released No Relation, an album which included Peter Bellamy as guest singer on three tracks and also appearances by guitarists Pete Kirtley and Simon Nicol and bass guitarist Ashley Hutchings.